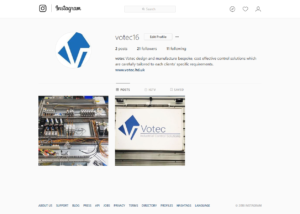 Here at Votec we have decided to open up the social media channels and join Instagram! We think that this will be a great way to showcase our unique systems and the processes we go through to build them. Instagram is a brilliant way to be found, and we feel it is another way to put ourselves and our work out there to a wider audience.